Speaking of next year. I have tons in store coming up! So much that I have decided to take these last couple of weeks of 2016 off to get things in order, get ahead and finish some projects for next year. If you know anything about me, you probably know that I do not like to take time away from my blog…I have a schedule for a reason, but I also don’t want to put up something that is mediocre. I am a person that is a true believer in quality over quantity — so at this time I want to be able to give my all to what I am working on. Posting for the sake of keeping up with my schedule just doesn’t work for me. This year has been such a good year for Beauty With Lily — thanks to you guys I was able to work with amazing companies, make wonderful friends, and grow as a blogger. I hope that 2017 is just as good to us. I will still be active on Instagram and Snapchat (lilyg07) so make sure you are following along. Wishing you all a Merry Christmas and a Happy New Year! Thank you for your unconditional support and love! Make sure you subscribe to the newsletter, I will be sending sneak peeks and behind the scenes info of what’s to come! 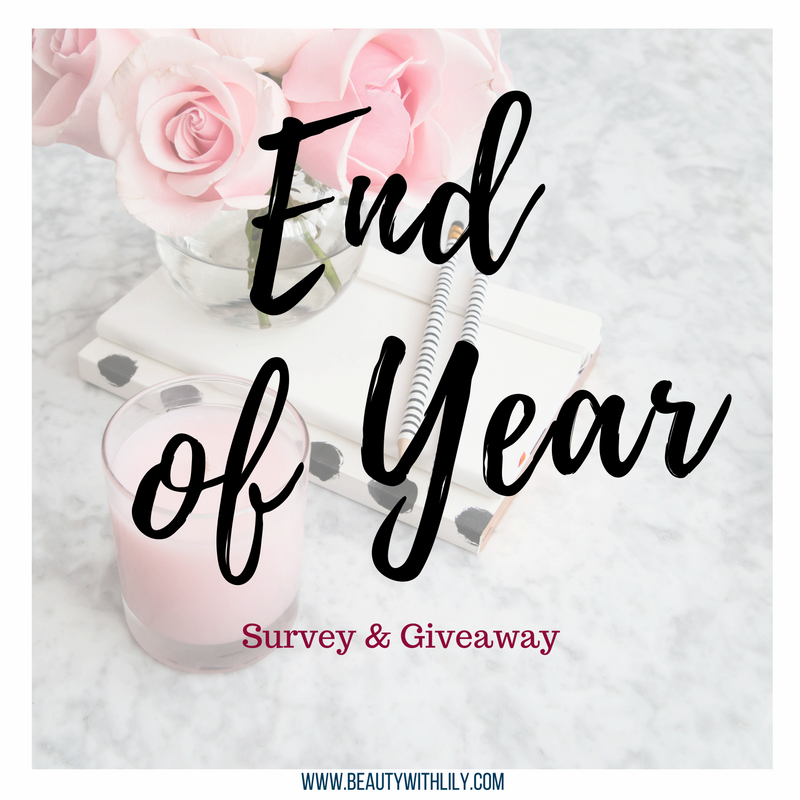 PS – If you would like a chance to win a $20 Starbucks gift card, fill out this quick end of year survey? Winner will be emailed on December 30th! "Holiday Gift Guide | Affordable Stocking Stuffers"
"15 Ways To Organize Your Blog"